The UTAR Kampar female basketball team finished a fantastic second in the inaugural Varsity Basketball League (VBL) 2017 held at Tunku Abdul Rahman University College (TAR UC) of Kuala Lumpur Main Campus from 15 to 28 November 2017. The national final game was played on 28 November 2017. The highest level of enthusiasm shown by the players as well as the support from a large group of UTAR students and staff gave their opponents a real tough fight. The team showcased their basketball skills as well as their great sportsmanship. 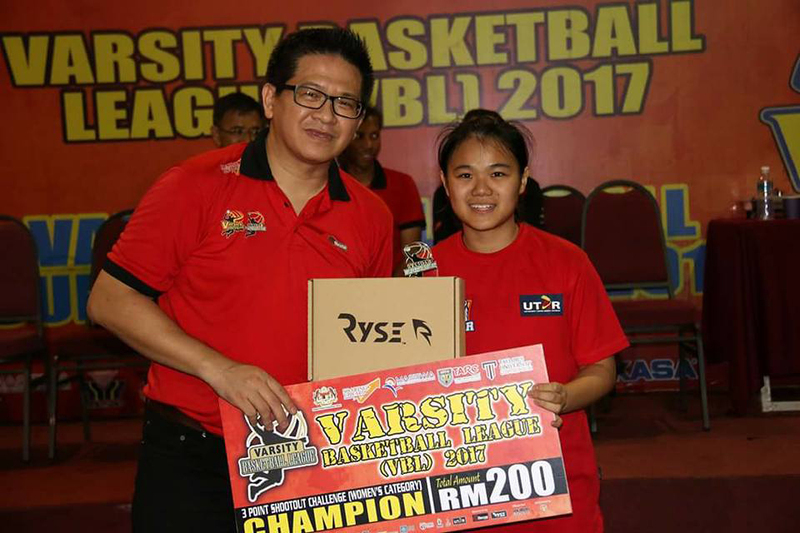 They took home the second prize for the Women’s Category of VBL 2017 and it was a double triumph for Psychology student Chua Yie Hong, who bagged an additional award, namely the Three-Point Queen Award under the same category. The league was organised by the Department of Sports of Ministry of Education (MOE) and Majlis Sukan IPTS Malaysia (MASISWA) in collaboration with TAR UC Kuala Lumpur and Taylor’s University. It saw the participation of four teams from four higher education institutions who had qualified to compete in this league by winning in the Women’s Category of MASISWA Basketball Championship 2017. These participating institutions included Universiti Malaya, Sunway University, TAR UC and UTAR. Each team comprised of 16 players who showcased their intense involvement, skills and teamwork during the game. Held for the first time, the championship aimed to encourage student participation in co-curricular activities. The championship was also aimed to raise the standard of basketball games and to enhance networking amongst athletes from other institutions of higher learning as well as the exchange of knowledge and expertise in sports. The UTAR Kampar female basketball team put up a tough fight with the TAR UC team and lost two points to them in the finals. They became the first runner-up of the championship. 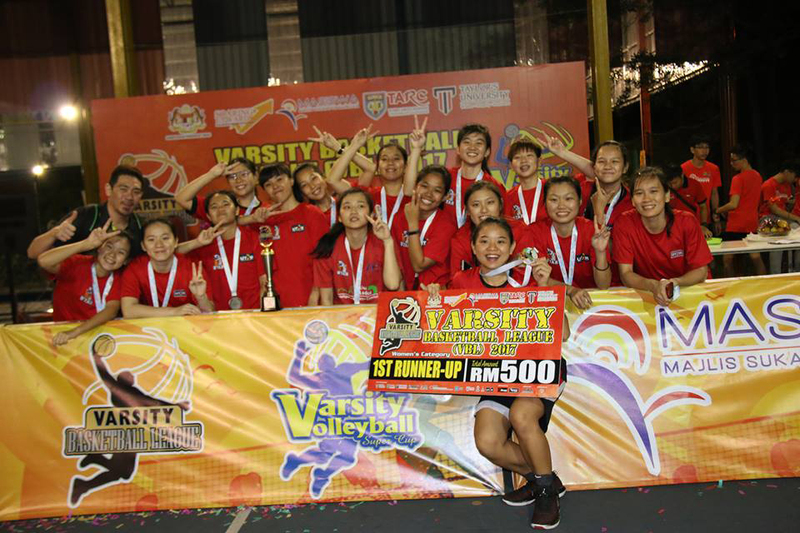 The team walked away with a cash prize worth RM500 and 16 individual silver medals. Moreover, Chua took home a cash prize worth RM200 for her exceptional shooting skills. The silver-medallists were Foundation students Khor Yin Jie, Leong Zhi Qin, Tan Si Bee, Angela Chen Zhi Qing, Pan Zhi En, Cheok Jia Yu, Ng Quan Yeak, Psychology student Chua, Advertising student Goh Pei Zhi, Business Administration student Ng Ee Wen, Public Relations student Ng Pei Wen, Logistic and International Shipping student Wong Shann Ying, Marketing student Wong Siew Jie, Business Administration student Yeo Jia Qing, Quantity Surveying student Khoo Kar Syuen and Biochemistry student Yesenia Poh Qerr.